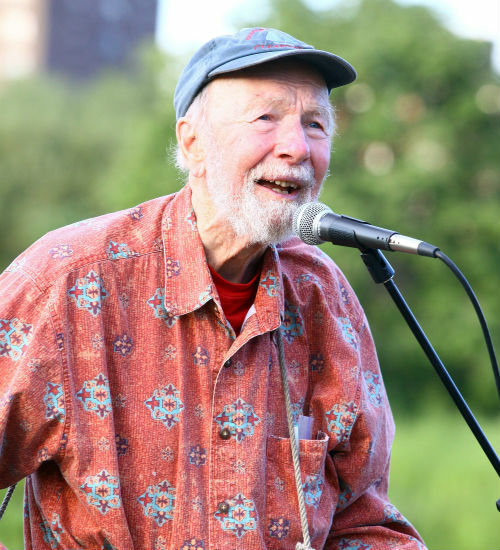 American Folk Singer Pete Seeger was born on May 3, 1919. For those of you who haven’t heard of him, Pete wrote “Where Have All The Flowers Gone” and “If I Had A Hammer” both which were made famous by the Mamas & The Papas. He also wrote “Turn, Turn, Turn.” which was made famous by The Byrds and quite a few other hits back in the 60’s. This year … God willing … Pete is going to turn 93. Regardless of whether you agree with a person’s politics or their beliefs, you can always learn something from them … if you’re open- minded. That said … living that long, chances are Pete has had some amazing experiences and he’s certainly learned some valuable lessons. Apparently, one of the things he’s learned is the difference between education and experience. Having an education is important. It can get you an interview, a chance to prove yourself, and maybe even a job. Learning from your experiences can help you to keep it! What valuable lessons might you learn from your experiences this week? Open your eyes AND your mind … you might just get a great education!